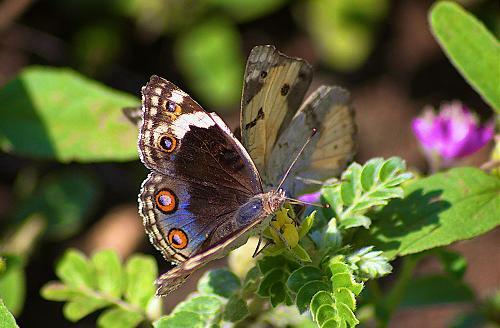 The butterfly in front is a beautiful blue pansy, while the one behind it is a yellow pansy, Junonia hierta. 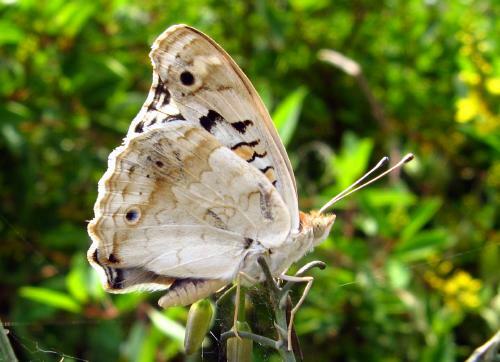 A closely related African species, Junonia oenone, is also called the blue pansy and looks rather similar. It is that blue pansy which appears on the British list (by virtue of an accidental arrival), not this Indian one. The Indian species flies in Australia too.